With the advent of social media, none of us can take our privacy for granted. The Privacy Commission of Canada says it’s critically important to teach students how to protect their privacy, exercise control over their personal information and respect the privacy of others. By the time children start school, most have already figured out how to turn on the tablet, find apps on Dad’s smartphone and search the favourites tab for their preferred websites. But they still have a lot to learn about staying safe online. The risks associated with connecting to the Internet have grown exponentially in recent years. From cyberbullying, sexting and child luring, to tracking, hacking and email scams, the threats can be daunting for many adults, let alone children and teens. At the same time, personal information has become a hot commodity as businesses seek to monetize our data. It has become difficult to discern who is processing our information and for what purposes and everyone, regardless of age, must weigh the benefits and risks of each product and service they use, each time they use it. This is why it’s important that students become savvy digital citizens who are able to both enjoy the benefits of being online and avoid potential pitfalls. Young people need to be equipped with the knowledge necessary to navigate the online world and participate in the digital domain in a privacy protective manner. Indeed, the importance of privacy education is something that was recognized internationally in 2016, when participants at the 38th International Conference of Data Protection and Privacy Commissioners passed a Resolution for the Adoption of an International Competency Framework on Privacy Education. The resolution encourages governments, and especially authorities responsible for education and other stakeholders in the education sector, to champion the inclusion of privacy education in schools and to advocate for and develop training opportunities for educators in this area. In addition to the Office of the Privacy Commissioner of Canada (OPC), Canadian provincial and territorial privacy oversight offices attending the conference signed on to the resolution. The framework adopted at the conference, the Personal Data Protection Competency Framework for School Students, serves as a roadmap for teachers around the world, outlining nine foundational privacy principles students ought to know and understand. Prior to the conference, the OPC, along with provincial and territorial privacy oversight offices across the country, formed a working group aimed at increasing youth awareness of privacy issues and risks, as well as the need to boost privacy education in schools. activity sheets for younger children that explore basic privacy issues through mazes, colouring, connect-the-dots and other fun hands-on activities. Understanding privacy protection has become an essential life skill. 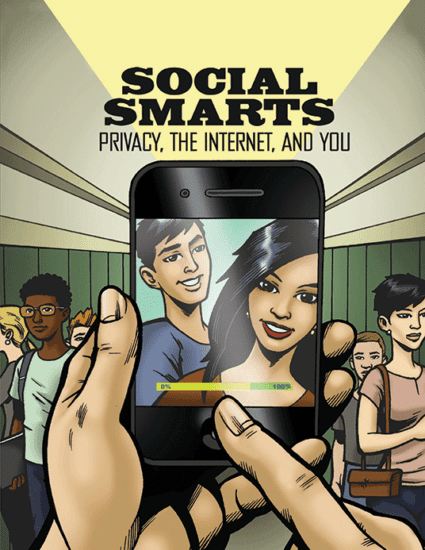 “By better understanding privacy communications, children will be able to make more informed choices about the websites they visit and the apps they use – skills that will benefit them well into adulthood,” says Commissioner Therrien. Find the Personal Data Protection Competency Framework for School Students (click on Documents, then Adopted Resolutions – 2016).